During the last few years the definition of 'very rapidly' has been changed and new information will be processed in milliseconds which, if semi-strong EMH is true, would make price discovery nearly instantaneous. I have the suspicion that with HFT the reaction to news is fast but not necessarily correct and that a number of corrections happen after an event due to better understanding of the new situation. Note that in this situation these corrections are a reaction purely to the first news event and not to subsequent events. I'm looking for references on this phenonomen because if it's true it must lead to trading opportunities and if it's false it would be strong evidence for the semi-strong EMH on short time intervals. The answer could include a study on the behavior of the order book after big news events and its relation to the price after a somewhat longer period. I would reckon this to be a very hard exercise. Unless you know the inner workings of such algorithm and how the news was exactly interpreted you have no idea about what went "wrong" and on which side such opportunities reside. One thing I know for sure is that most all algos that capitalize on news capture primarily the numeric part of the news event. I believe only very few algorithms in 2013 seem to be capable of applying sufficient AI to not only interpret the linguistic nuances but to build a pricing model around the divergence in such news interpretation from market expectations. Having performed some research on my own in foreign exchange instruments, responding to economic data/text releases, this explains why you one often sees an initial sharp reaction only to be followed by an even more pronounced correction or a second/third leg into the same direction. Having spoken to several broker dealers in the past I found that the latter correction often occurred off the back of semi-systematized or even discretionary accounts and not pure hft algorithms. Subsequently, I concluded for the time being that my time was better spent elsewhere because I was unable to built an alpha model around such events simply because I could not conclusively forecast on which occasions the initial move was retraced and on which occasions it was magnified by the rest of market participants trading in the same direction. But I am definitely interested in what others have to say. In my experience HFT has to balance the reward of any strategy with risk. In the case of a news-based trading strategy, the risk can be enormous, which means the algo will need a very high expected profit in order to trade the news. After important news events, volatility skyrockets and persists for some time (sometimes even days). If the market were able to agree on the right price shortly after an event, that volatility wouldn't exist. "Normal" HFT strategies rely on the law of large numbers to have returns with acceptable risk; a good benchmark would be 10,000 events per day. News that moves the market in a semi-predictable way is rare by HFT standards. My understanding is that news-based strategies are most common on events that are particularly machine-readable (lower risk) and move markets with heavy volume (higher reward). Some examples would be FOMC releases, treasury auction results, employment reports, or oil inventory reports - which move highly liquid markets in somewhat predictable ways. Particularly daring HFTs may be comfortable getting into massive positions if they have good confidence on the market direction, but they need enough volume to make the strategy worthwhile. Often even in these markets you see liquidity clear out ahead of the release of such reports, which makes it even harder to trade the news. If you can observe prices at a very high frequency, then "news" is defined as a lot more things than if you are observing prices at a lower frequency. So what you are calling corrections are also news for the high frequency guy because he can observe prices that fast, so do not consider these as corrections to the original news, consider this to be a situation where one kind of news has hit the market and other kinds of news are following that. I think the market participants behavior on the micro-level is not different in principle from the behavior on the macro-level. The challenges of better news interpretation, and faster response time are very similar on all levels. There may be a little bit more trading opportunities in HFT, but building HFT strategy and infrastructure is very expensive, therefore I think this hypothesis still holds. This is a very good observation that I wrote about in my undergrad studies. I also believed that markets were efficient but not precise. I used the example a few years back regarding a tweet (roughly after the Boston bombings). The tweet was regarding terrorist attacks in which markets fell sharply and then recouping all the gains as news later indicated that someone hacked into the Twitter account. The markets were efficient at pricing the new information but were not precise at verifying authenticity of the news. You should read Market Microstructure in Practice, and have a look at the slides of the Market Microstructure: Confronting Many Viewpoints conference. To go back on your HFT question, you have to pay attention to the difference between low latency and high frequency trading. low latency is news trading: can be few times a week, but you have to be the first to take profit of the price change. Some traders use micro-waves connections instead of cables. 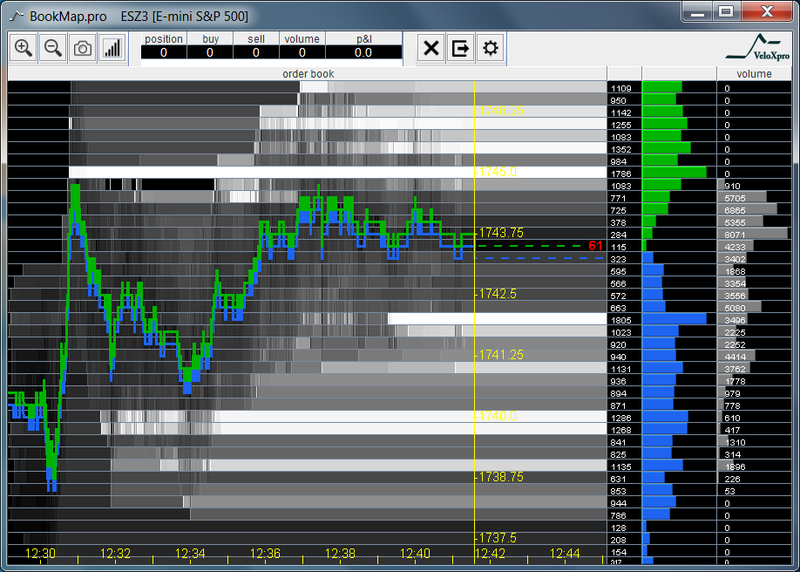 high frequency is about making the market, and/or using very short term price predictors. Market makers are contributing to the diffusion of information in the price since they synchronize investors having access to information. Typically when they face low latency traders they are adversely selected and loose money (partically compensated by the rebate they have by exchanges), otherwise they earn the bid ask spread. We know how they work, at least theoretically. Not the answer you're looking for? Browse other questions tagged high-frequency market-microstructure asset-pricing or ask your own question. Does HFT make sense in a pro-rata market?